If you know me, you know that I’m always talking about the importance of diversifying your portfolio for safety and growth – particularly by investing in real estate. But what kind of real estate? 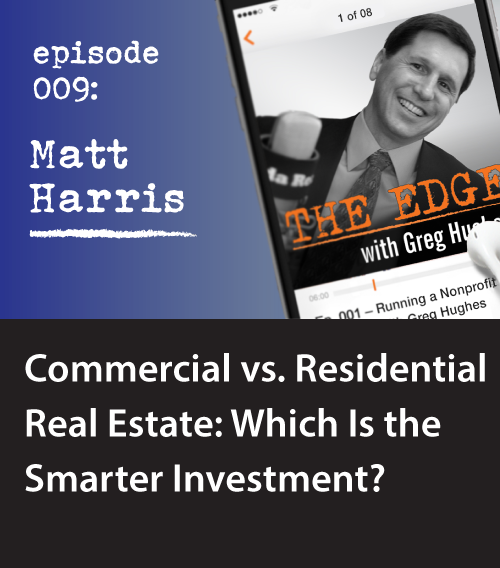 In this episode of “The Edge,” my guest Matt Harris and I debate the age-old question: Is commercial or residential the better investment option? We discuss the pros and cons of each, and although I won’t give the answer away, let’s just say that it depends on a lot of factors like the type of investor you are, the amount of risk you are willing to assume, and the level of hands-on management that you prefer. Matt was inspired at a young age by “Rich Dad” Robert Kiyosaki’s book, “Retire Young Retire Rich: How to Get Rich Quickly and Stay Rich Forever!” It was this book that helped him realize he could leverage the house he already owned into income-producing opportunities for himself. He experimented with different residential real estate tactics, including flipping houses, until his eyes were opened to the world of commercial real estate. For investors familiar with residential real estate who are interested in crossing over into commercial, Matt talks us through the most logical next-step: multi-family residences. There is a large shortage of multi-family residences across the U.S. West Coast, with Reno, in particular, seeing a stunningly low vacancy rate of under 2%. Cities are hard at work building new apartments, but the process is too slow to cover today’s demand. Matt discusses how now is a great time to get into this housing sector. Real estate is a tangible asset that you can improve on, sell, transfer, and manipulate in ways you would never be able to do with a stock. The stock market (a.k.a. “legalized gambling,” according to Matt) doesn’t lend itself well to control – you are at the whims of the market’s every up and down. Tune in to this episode and be inspired with new ways to grow your real estate portfolio. In February of 2016, Matt joined the firm of Avison Young. He is committed to providing exceptional commercial real estate services across all commercial property types and service lines, as well as providing well-informed guidance in every aspect of the commercial real estate transaction, including acquisition, disposition, property management, site analysis, 1031 exchanges, and relocation. Whether you are looking to acquire, sell, lease, or develop commercial property, Matthew Harris can provide advice and market knowledge to help find the best solutions for your commercial real estate needs. Matthew’s passion for real estate began in 2006 when he started in residential investments with H & H Investments, a company he founded with his brother Benjamin. Matthew continued into commercial real estate when he joined Coldwell Banker Commercial in 2010. Clients have found that his personal experience with underwriting investments, his operations management background, and the knowledge he gained in the logistics and distribution industry while working for LTL carrier, Fed Ex, and PTI Logistics, make him a valuable asset. 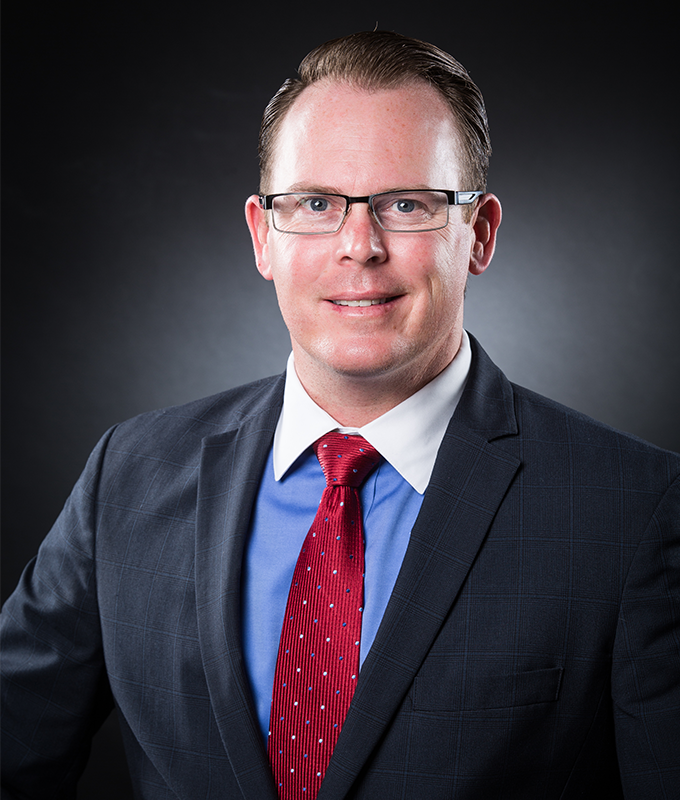 During his tenure, Matt has represented an impressive range of clients in hundreds of lease and sale transactions throughout Northern Nevada, Arizona, California, Idaho, and Texas. He has received awards for the most transactions in a year and highest grossing broker for the year. As a respected member of the Northern Nevada CRE industry, his focus is on Industrial Properties and Investments, but with his wide range of knowledge in the Reno-Sparks market, he’s able to lend his expertise to businesses and owners of all sizes and property types. Matthew is dedicated to the success of his clients, the real estate industry, and the community. He is currently on the board of directors for NAIOP Northern Nevada – Commercial Real Estate Developers Association, CCIM – CRE Investment Members, and the Reno-Tahoe International Airport Authorities Community Outreach Committee, and is a member of the Reno-Tahoe International Airport Master Plan Committee 2017.